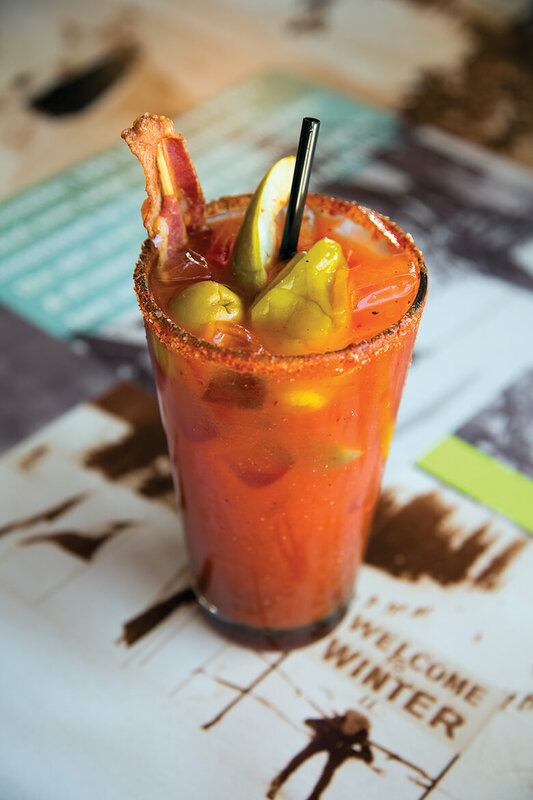 A vegetable with a future makes great drinks. My mind wandered back to Edible Long Island’s launch party where my memorable drink of the night was by Roots Bistro Gourmand: Dickens cider with a sprig of thyme and a crispy strip of bacon as a stirrer. 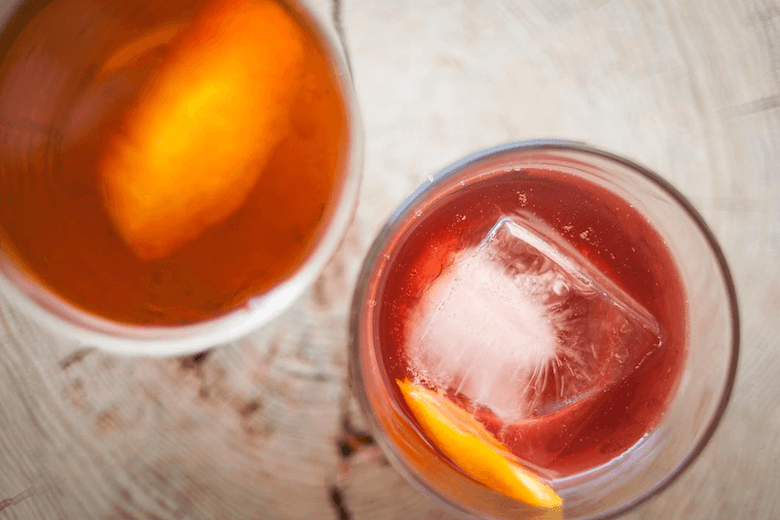 Each season Mark Seaman, the bartender at Roots, creates infused vodkas and simple syrups made with freshly cut herbs and sugar and spices that would otherwise go into a ginger cookie and garnishes meant to be eaten. 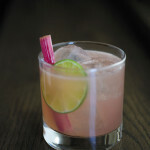 Thus inspired, rhubarb with its sweet and sour twist seemed like an ideal cocktail base. Twelve-plus acres of rhubarb grow on five farms on Long Island according to the 2012 Census of Agriculture conducted by the USDA. Briermere Farms in Riverhead, a 300-acre fruit farm, has five acres dedicated to rhubarb, most of which goes into jams, jellies and their famous pies. Of the 28 different pies they make, strawberry rhubarb is the most popular. Rhubarb has been growing wild there for more than 50 years, says owner Clark McCombe, “and we keep dividing it.” Propagating rhubarb by seed takes way too long; it’s best grown by dividing the rhizomes, called “crowns,” and replanting them. Rhubarb petioles—stalks—range from green to red and speckled pink. Devotees chatter about whether red stalks are tastier than green. Over the course of the growing season, the stalks of both turn from tender and juicy to fibrous and more acidic. The broad triangular leaves contain high levels of soluble oxalate crystals and are poisonous; hence why the stalks are only found at stores and farmers markets. It is a vegetable—and close relative of garden sorrel—with an identity crisis that started in 1947 when a New York customs court declared it a fruit for taxing purposes. I’m rooting for rhubarb to shrug off its fruit complex and sour reputation. 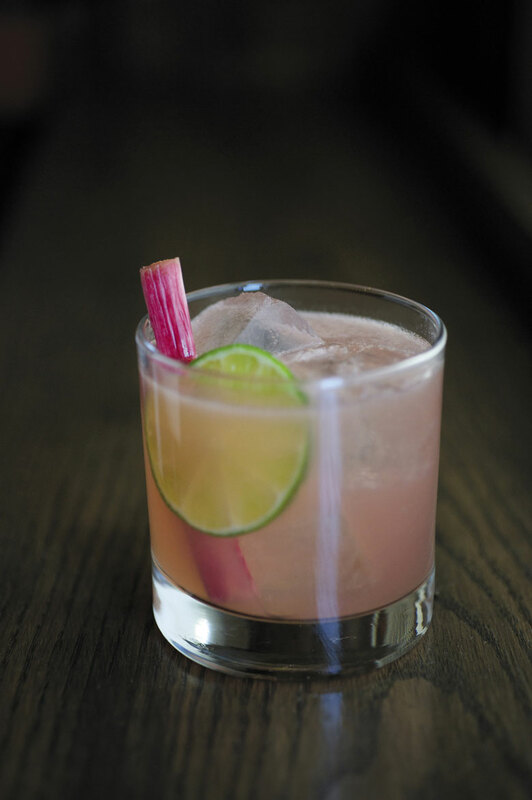 Now that we’re acquainted, I tried my hand at infusing LiV potato vodka and simple syrup with MacDonald rhubarb. 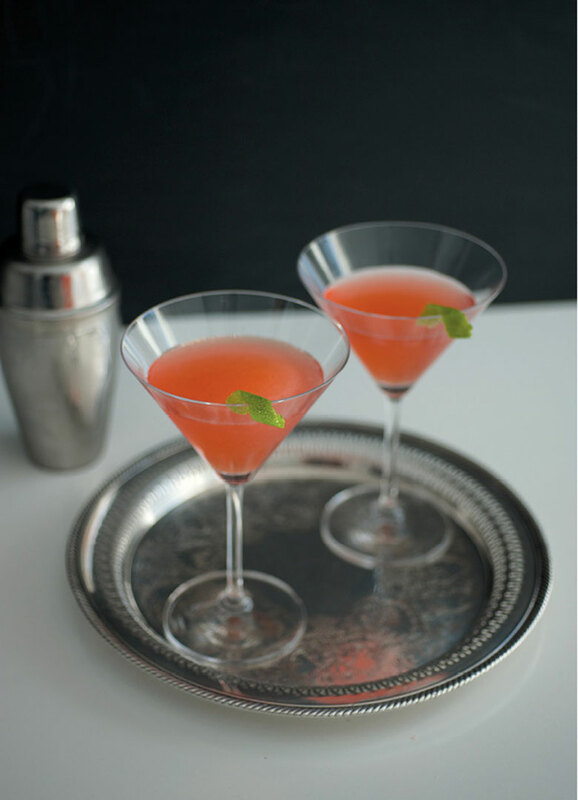 The vodka turned out to be slightly aromatic and mellow, with the rhubarb flavor most pronounced at the end of each sip; the syrup was gently sweet, with undertones of strawberry and watermelon. Overall, the visual results were pinkish liquids that gave my three spring cocktails, Rhubarb Martini, Rhubarb Fizz and Rhuby Pink Grapefruit, a beautiful hue and zing. 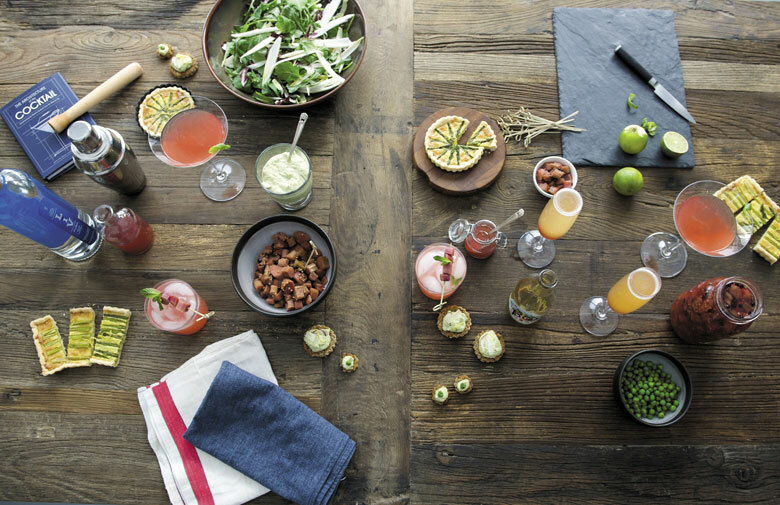 Experiments leading up to these recipes included spicy pickled rhubarb made with juniper berries, peppercorns and mustard seeds, lime zest, grapefruit and a sparkling dry white cider from Wölffer. 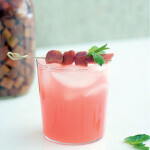 Sure, I was tempted to make a strawberry-rhubarb cocktail—the classic combo—but why go with the obvious? My tasters agreed the rhubarb-infused vodka was good enough to drink straight. Heightened in the martini with a touch of rhubarb simple syrup, the vodka popped after a generous twist of lime zest coated the cocktail with a citrus bouquet that hits your olfactory nerves just before your taste buds. 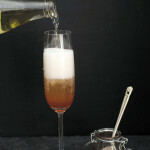 Fancy something fizzy for a cocktail party? 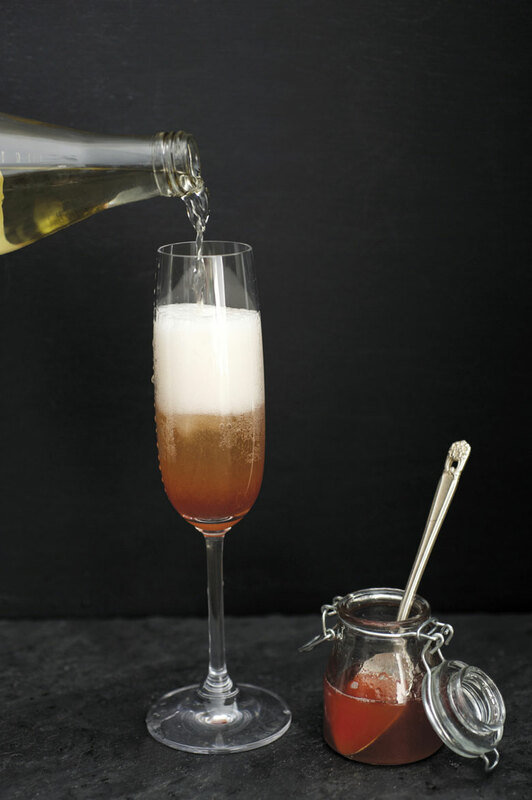 The Rhubarb Fizz, with Wölffer sparkling dry white cider and the rhubarb simple syrup, tastes like an apple-rhubarb pie and looks glorious in a Champagne flute. 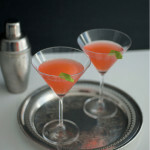 My most refreshing and easy to drink concoction was the Rhuby Pink Grapefruit. 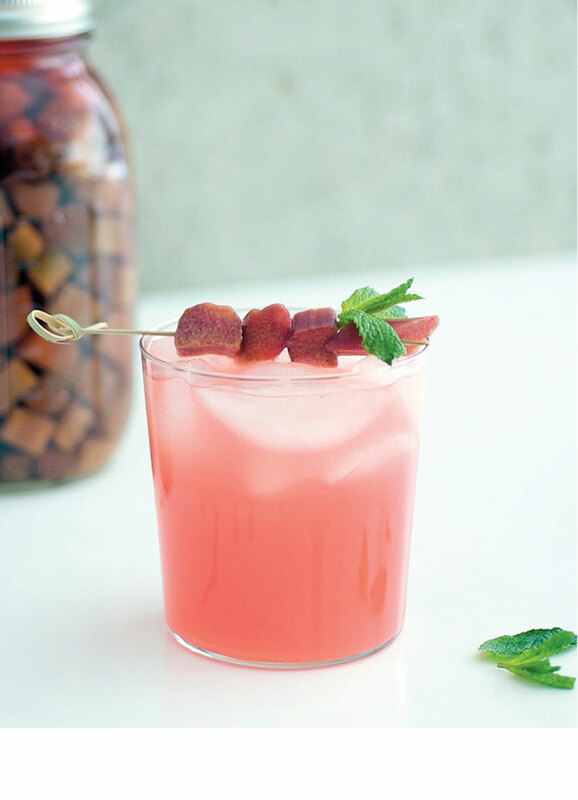 This pinkish rosy sweet cocktail with a spicy rhubarb pickled garnish is bright and light for a Sunday brunch. 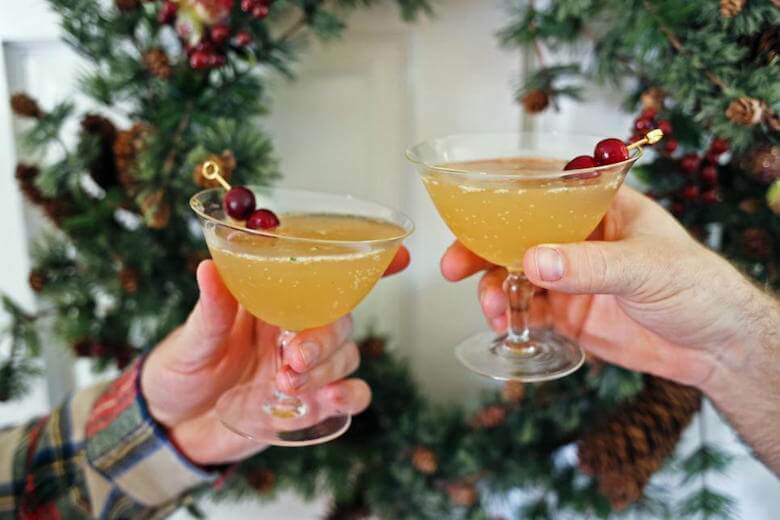 No matter what the potion, you will be stirring and shaking your way to rhubarb cocktails that will have you whistling whiskey and springing for more. 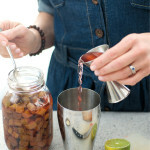 Many cocktail recipes start with the basics: infused spirits and seasoned simple syrup. Here’s how Laura Luciano created her rhubarb building blocks. 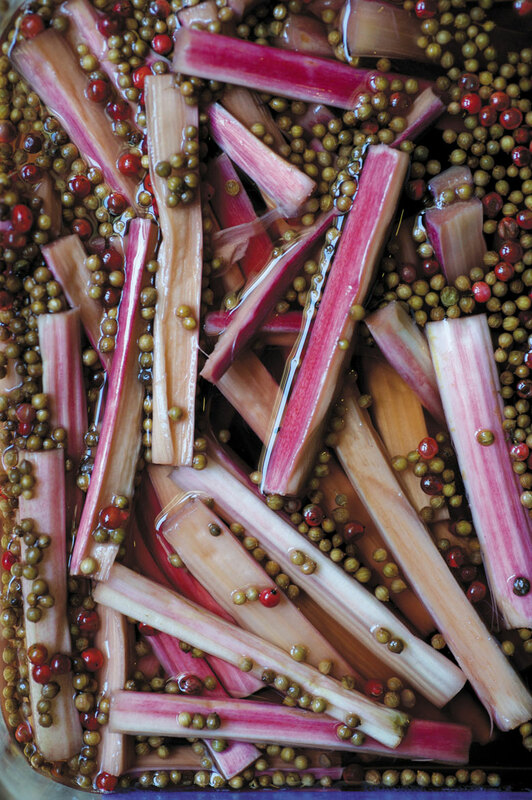 Cut rhubarb stalks into ½-inch pieces, approximately 4 cups, and place in a 32-ounce jar. Add vodka and give the jar a shake every few days. After two weeks, strain the vodka through a fine mesh and press the rhubarb with the back of a spoon until the vodka is a pinkish color. 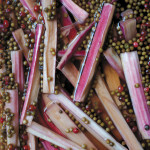 In a saucepan combine 4 cups of rhubarb, 1 cup of water and 1 cup of sugar. Bring to a boil and simmer, stirring occasionally, until the rhubarb is soft and the liquid has thickened slightly, about 20 minutes. Strain pressing the rhubarb with the back of a spoon to extract more syrup. 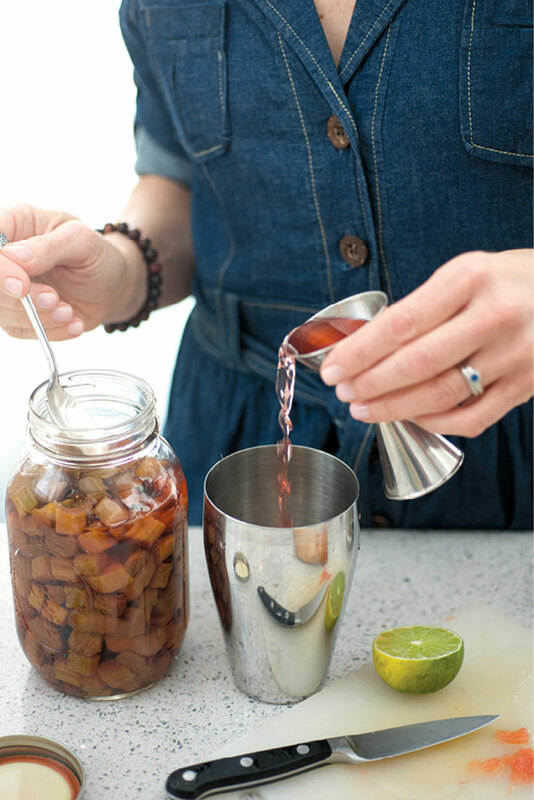 Carefully pour the syrup into a clean bottle and refrigerate.